If you're playing on Steam, the launcher will auto-update. 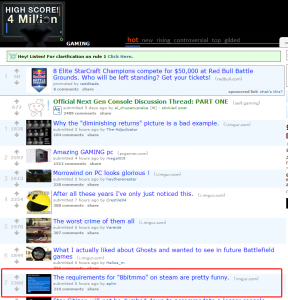 If you using stand alone desktop edition, you can get it through the Mega portal. First, the sad news. Tutorial Zombie has unfortunately died in a tragic tutorial-related accident. He has long been a favorite companion in the game and was a key NPC many years before the game was even publicly playable. Alas, he now resides in Tutorial Heaven. RIP. Replacing him is Sir Zombie Brains, who brings a potentially unlimited number of quests! When you first meet him in Level 1, he will give you either a quest to claim the reward block in the Offices of LOL & LOL, or a quest to slay LawyerCats. In Level 2, he does the same for Hipsters in Psy's dungeon. For Level 3 and above, he gives out user-made quests! So how do you make him give out a quest? Now, set quest text with /rewardblockquest <quest text>. This text will be said by Sir Zombie Brains and will also be shown on the quest side-bar. Make sure it's not profane or otherwise containing mature content! If later you decide you don't want the quest to be public, you can turn it off by just doing /rewardblockquest with no parameters. Level 3+ users will be able to talk to Sir Zombie Brains and receive your quest. To get to your quest easily, there is a new telepad: the questpad. The questpad will take users right to your town's respawn pads, or if your town has none, then to your townstone. If the user doesn't like your quest, they can get a different one just by talking to Sir Zombie Brains again. Hopefully this encourages cool usage of the reward blocks and makes it easy to see more awesome creations throughout the world! Tonight's update adds Homestone Invites. You can now invite another player to visit your homestone. Just type /homeinvite <guest's name> to invite the player to visit your homestone. They will be notified that for the next fifteen minutes that they can do /invite <homestone owner's name> to visit that homestone. We will be drawing the winner of the KJH Drawing this Wednesday at 2PM Pacific time -- get the time in your local time zone. For a calendar invite: iCal, Facebook event, or Steam event (join group). 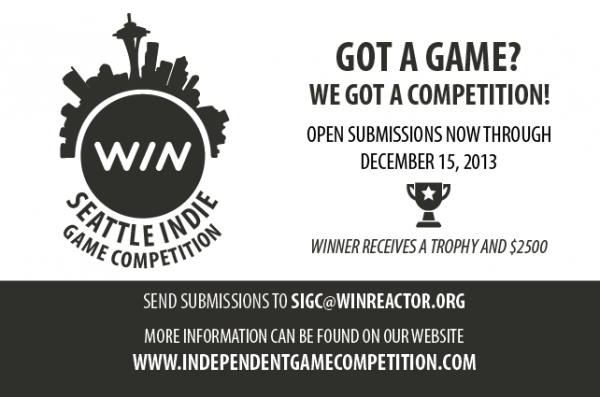 If you're a Seattle indie game developer, you should enter the 2014 Seattle Independent Game Competition. 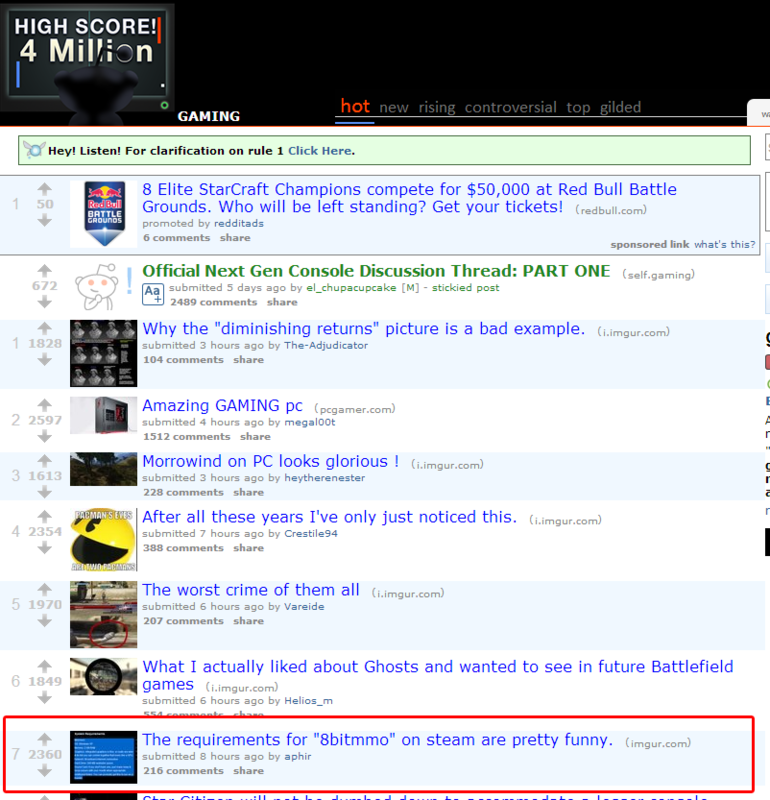 8BitMMO won last year! 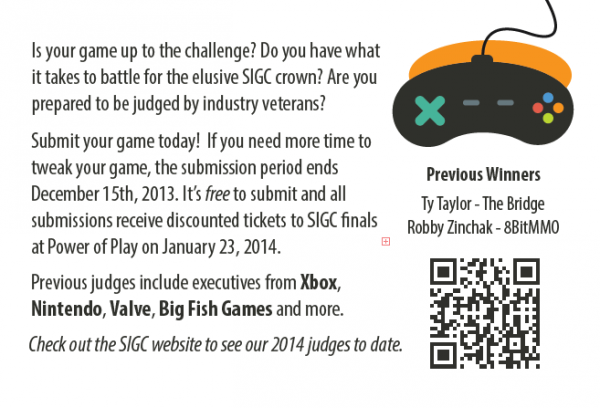 Competition entry is free, so what are you waiting for?